Since our recent visit to Dorado Tacos in Brookline and subsequent write-up on the best Mexican restaurants near Boston, we received a lot of great suggestions for other places to check out. Two that we hadn't yet been to: Ken Oringer's La Verdad near Fenway Park and El Pelon near Boston College. 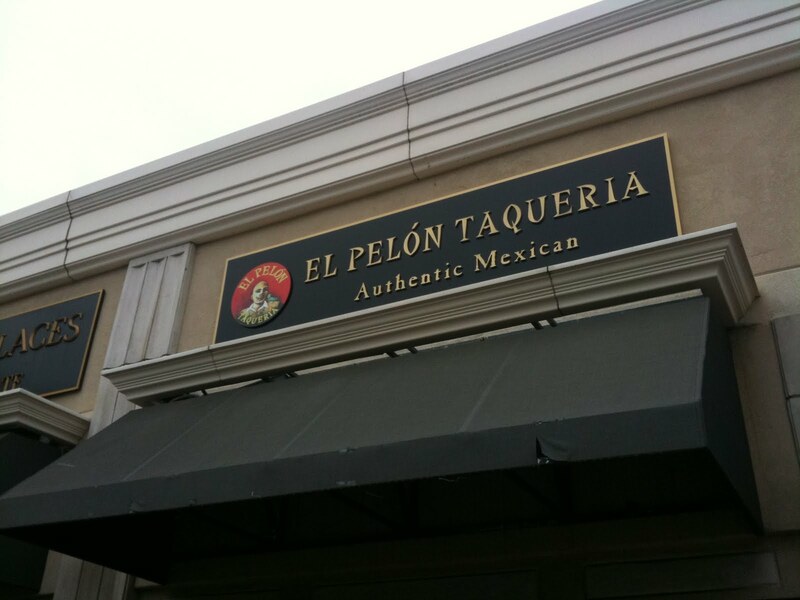 This weekend we tried out El Pelon. Did it deliver? For me, yes it delivered but I can't recommend it fully without some hesitation. 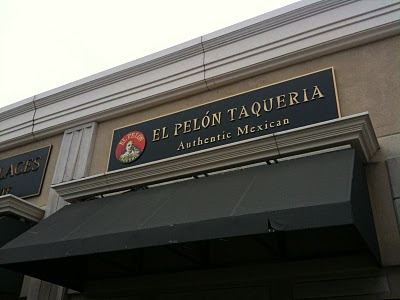 It's hard to say which specific sub-category of Mexican food El Pelon belongs to. It's definitely a take-out restaurant with relatively limited seating. It's not just a burrito bar- they also serve quesadillas, enchiladas, and tacos. But I wouldn't quite call them full-service mexican take-out since they lack the depth of menu and complimentary pairing of rice and beans commonly seen in the genre. They do offer fish tacos, but the emphasis is weighted 60/40 burritos to fish tacos. Overall, a good assortment of items with an appealing menu. I was torn between ordering the fish tacos and the El Guapo burrito @BostonTweet recommended on FourSquare. Actually, I was confused whether he was saying that former Red Sox great Rich Garces AKA "El Guapo" owned El Pelon -or- frequented the place -or- recommending the El Guapo burrito so I just got bailed on the whole thing and got the chicken burrito. There isn't a kids menu so we ordered them some tacos. Tacos appear at two places on the menu- simply as "Tacos" where they're available for between $2.50-$2.75 per taco with chicken, pork or steak. Or as "Tacos de la Casa" where they're offered for between $5-$6.50 for two tacos. I thought this split was confusing. First, why not just have one taco section with varying prices depending on the cost of ingredients? Second, when I see Tacos de la Casa it makes me think it's going to include something more than just two tacos. Like chips, salsa, or rice and beans. None of these are included- they were just a pricey pair of fish tacos. The supplemental cheese quesadillas we added on at the last minute were more readily devoured. It looked like the entrees didn't include any chips or salsa so I added some to our order. This too was confusing. Listed under "Antojitos" you could get Chips and Salsa for $2.95. Or under "Sides" you could get "Chips only" for $1.75 a small bag/$4.50 a large bag. Or Chips, salsa & guac for $4.50. I wanted enough for all of us so I ended up getting a large bag of chips, 1/2 pint of salsa, and a 1/2 pint of Guacamole. This added a total of $10.50 to our bill. Ouch! For something I think of as being included in a typical Mexican meal (even if it's in small quantities at take-out) this was an unwelcome addition. It was Saturday night and a Corona or some margaritas would have hit the spot. Unfortunately no such luck. They don't serve any alcohol. The self-serve fountain beverages were $1.75 each. The chicken burrito was good/very good. I appreciated that it came out quickly, was served hot and fresh, and that I could discern each individual ingredient in the burrito- like cilantro. It was a good clean burrito. It didn't include any sour cream or guacamole (the former being unavailable and the latter being an additional charge). I think I'll go for the El Guapo next time- I bet it would bring more thunder. 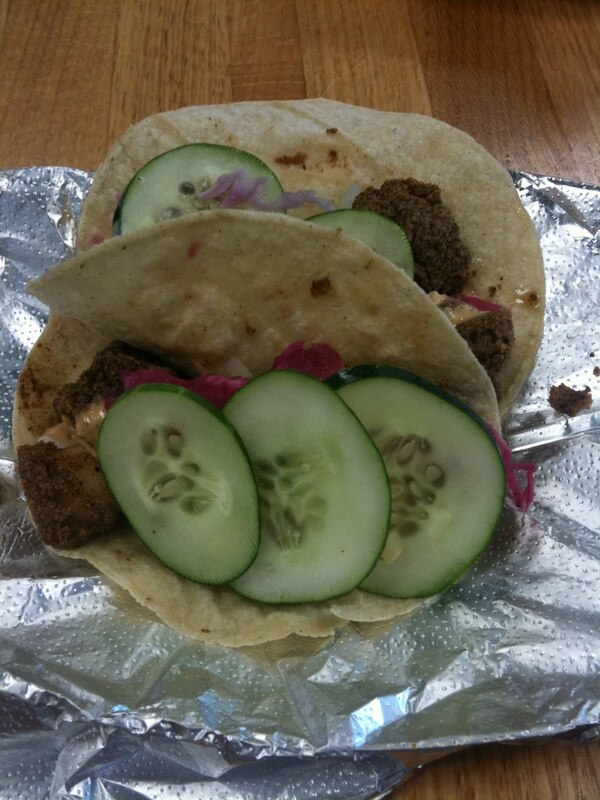 The fish tacos were interesting (see photo below). They're described on the menu as: "Crispy Cornmeal and Spice encrusted Cod topped with Arbol Chile Mayo, Limed Onions, Pickled Cabbage and Cucumbers". I thought the fish looked like it was going to be too-crispy/hard on the outside and perhaps dry from looking at them. However, when you bite into them the fish is wonderfully fresh and moist. Although the cucumbers dominate the dish visually, the onions, cabbage and chile mayo were the strength of the dish flavor-wise. The chips were heavy and crunchy- obviously made in-house as opposed to light fluffy white chips. The salsa fresca trended more towards pico de gallo rather than saucy salsa. The guacamole was good but not great. I would have appreciated more identifiable avocado in the guacamole. Overall, an enjoyable dining adventure into the charming Boston College area of Brighton. They focus on an authentic interpretation of Mexican food. Generously sized burritos are flavorful with individually discernible ingredients. A unique interpretation of fish tacos that tasted better than they looked. Entrees don't include any beans, rice, chips or salsa. Confusing and expensive chips and salsa add-on options. Confusing menu split between "Tacos" and "Tacos de la Casa". El Pelon offers a more-authentic-than-most interpretation of Mexican take-out. Perfectly cooked fish tacos and hearty burritos were strengths, but study the menu before you go to avoid expensive add-ons. What do you think of El Pelon?